Viewing the finished product of a home remodel, designed and built by professionals is inspiring, exciting, and delivers the best transformation of spaces. But it’s far from an easy process, as even an expert re-modeler will tell you. 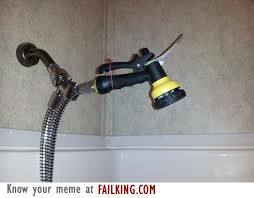 While one of the most compelling reasons behind D.I.Y. 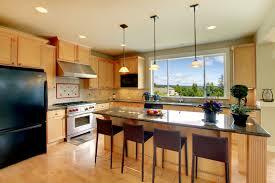 remodeling is the cost savings, there are many benefits to hiring a professional for your home renovation project. In fact, the expertise of an experienced home remodeling company can actually save money and reduce the time needed to finish your remodeling project. DIYers often rely on best guesses or approximations, which can be costly both in terms of time and money. Under-estimating the time and materials needed, or failing to get the correct building permits are just a few of the oversights made by DIYers. How much the remodeling project will cost, all expenses included. When homeowners decide to take on a home renovation themselves, no matter how large or small in scale, one of the most common sources of frustration is the lack of time to accomplish everything that needs to be done. Unanticipated obstacles can delay the project or increase the cost in terms of both money and time. Home renovation experts, however, are planners by trade. They know the scope and depth of your project. Their experience in home remodeling provides insight into the most common remodeling challenges, so that they can anticipate them before they encounter them on the job site. The correct materials and quantities are custom ordered and delivered to the job site when they are needed. This prevents multiple trips to the store for more materials and avoids costly delays in the project. The project is done right the first time, saving the cost of errors and mistakes, and the need for additional materials. The project is completed per the design specifications, and the work is guaranteed against defects in structure and installation. DIYers often aren’t experts in home remodeling. This means that accidents can and do happen that can result in serious, if not deadly, injury. Failing to support a ceiling while creating an open flow between rooms; forgetting to turn off gas, water and electricity before working on components related to them; or even avoiding the use of safety gear are just a few oversights on DIY remodeling projects. The more complex and larger the project, the greater the need is for safety. Remodeling experts who work with power tools, plumbing, electricity, and structural supports understand that safety is extremely important. Ensure that critical supporting architecture is in place, even when a home is undergoing a major remodel. Keep water, natural gas, and electric from causing floods, burns, or emitting toxic and highly combustible gases. Provide safety training, gear, and monitoring to keep both crews and families safe from hazard. Comply with government guidelines for building codes and OSHA safety standards. Insure their crews and workers, and take on accountability if there is something that goes awry. DIYers may be familiar with some of the basic tools involved in remodeling projects – saws, hammers, and drills. However, specialty tools like wet saws for cutting tiles often seem familiar but, in reality, they can be difficult to master. Additionally, DIYers may find themselves undertaking a much bigger task when they realize the detail or the additional materials needed to make up for their lack of experience. When undertaking a remodeling project, outstanding results come from specialty tradesman, not a jack-of-all-trades (and master of none). This is why experienced remodeling professionals are confident in pulling off high-end complex renovations. Utilize superior quality materials and commercial-grade products that are not readily available to DIYers. 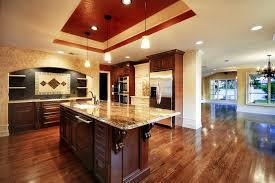 Lot match so that finishes, grains, and colors stay consistent throughout the entire space. Negotiate better pricing so you get superb quality at a price that DIYers would not be able to match. Keep current and updated about new products, materials, and innovations that enhance design, improve material longevity, cut energy costs, or make installation faster. While DIY projects may work for small scale changes, selecting a remodeling professional to help with a large-scope home transformation is the key to a satisfying and long-lasting result.